These newlyweds seem to be thriving in this new chapter of their lives together. 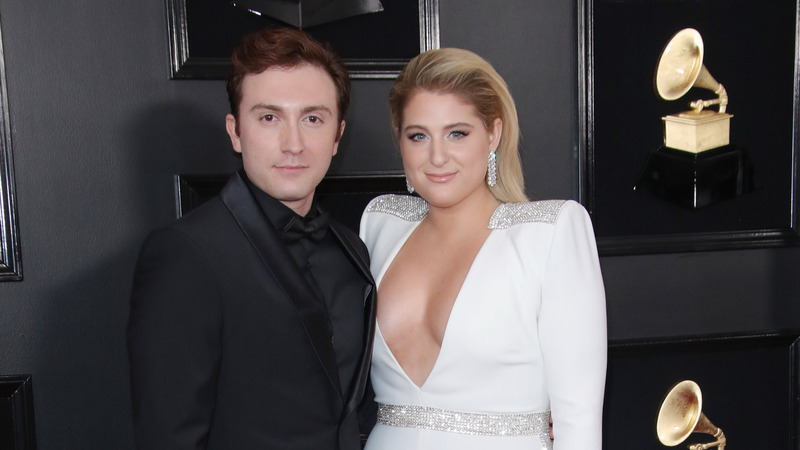 On the red carpet at Sunday’s Grammys, Meghan Trainor and her husband, Daryl Sabara, gushed to Ryan Seacrest about each other and their post-wedding life. In case their social media posts about each other aren’t enough evidence of this couple’s adoring love for each other, the way they both glowed on the red carpet was too sweet for words. “That was the best part,” Trainor said. She said she loves being with Sabara alone, “but the familymoon was, like, all of the best memories of my entire life.” She also told Seacrest that they did in fact stay in a house with a glass floor over the ocean. Although Trainor wasn’t up for any awards at this year’s Grammys, she took home the trophy for best new artist in 2016. In addition to a new EP, The Love Train, her new full-length album Treat Myself is due out later this year.